In 1935, crime spree bandits like Midwestern desperadoes Dillinger and Baby Face Nelson had been killed. Likewise, inner-city gangsters of Chicago and New York who had been prominent in the "Big Six" era of organized crime were also gone -- either to prison or dead through mob retaliation. The disappearance of these criminals from the American landscape left the public hungry for information about them. Enter magazines like True Detective, Sterling and Liberty. They created a new genre of the gangland memoir. At the same time, J. Edgar Hoover, the F.B.I. 's director, had positioned himself as an anti-crime pundit. He was clamping down the lid on the way these stories were told. 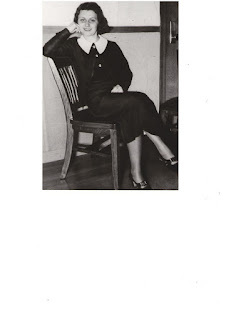 The gangland gravitas s eething inside women like Evelyn Frechette (Dillinger's moll), Florence "Cokey Flo" Brown (a material witness in the trial of Charles "Lucky" Luciano), and other women on the verge of disaster went into print. One such publisher, MacFadden Publications, would send a ghost writer into prison or wherever these offenders lived after the fact. Even city dailies joined the trend. These stories went into syndication and were featured across the United States. For the authors of these memoirs, the payment was nominal. "I got $25.00 and a couple of gowns," said Mary Kinder, Dillinger moll and girlfriend of Pete "Harry" Pierpont. Some of gangland's molls avoided the pathos of the paid-by-the-page sob story. One moll not treated kindly by the press was Helen "Mrs. Baby Face" Gillis. While still a fugitive after the death of her husband in an F.B.I. shootout, Helen Gillis appeared on the front page of Chicago's papers with "Kill Widow of Baby Face" captioned beneath her young face. Mrs. Gillis went into prison undoubtedly relieved to escape further press coverage. The art of the memoir was not lost on women in hiding. Florence "Cokey Flo" Brown, the chief material witness who testified against Charles "Lucky" Luciano in his 1936 trial for compulsory prostitution, had her story published in Liberty in 1937 while her actual whereabouts were unknown. Women were not the only gang associates who were called upon to write for these rags that sold for $.25. 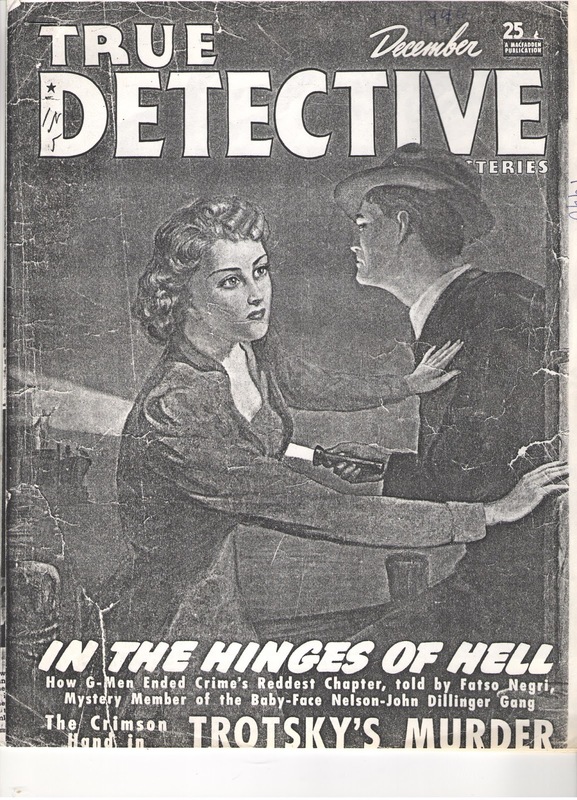 Joseph "Fatso" Negri, an associate of Lester "Baby Face Nelson" Gillis, became a chronicler of the last weeks of the Nelson gang in True Detective. In the series, which ran for several months, Negri introduced the mob expressions and jargon that might have been lost. "Nelson always used the words 'to charge on,' in speaking of bank holdups, Negri wrote. "The six of us tried to pile into one car, but it couldn't be done, what with everyone lugging along his machino and wearing his bulletproof vest." With the dawn of the Second World War, the crime-does-not-pay stories became old hat. For those survivors of the 1930s criminal era, these serialized memoirs had helped to pay legal fees and keep the rent paid for a while. These first-person accounts of gangland served a purpose that went beyond twenty-five bucks and a couple of gowns. Today avid crime researchers, jaded by the age of technology, are still fascinated by these original stories of gangland. Author of "Don't Call Us Molls: Women of the John Dillinger Gang,"
"The Case Against Lucky Luciano: New York's Most Sensational Vice Trial,"
and a forthcoming biography of Captain Matt Leach of the Dillinger saga.